Just over a week ago, I got the call that one of my friends, Mark Rasmussen had passed away. This post didn't seem appropriate at the time, but now the news has been shared with the Airsoft community, I wanted to write a short post about Mark and the impact he had on the Airsoft community. Mark was just 22 years old, and was the CEO and founder of Airsoft Denmark, the leading Airsoft blog hailing from Denmark. A blog that I had only been introduced to a short 2 months ago but was rapidly becoming one of my favourites for Airsoft news around the globe. 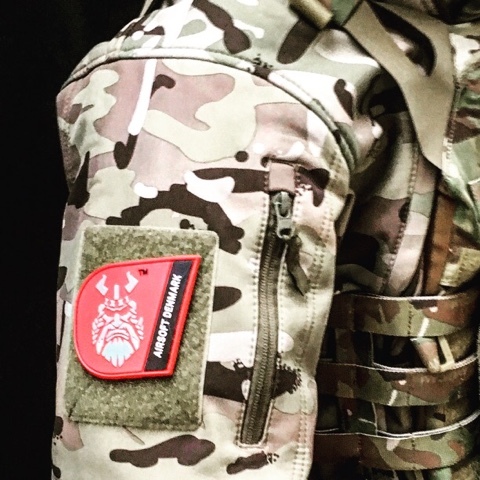 He had recently moved from Denmark to the UK and was on a tour of Airsoft sites and MilSims around the UK with ASG, to promote Airsoft Denmark and bring together the UK and Danish Airsoft communities. In the short amount of time I have known Mark online, we only met in person the once and that was at HTIS Operation Blue Fox 2 at the Fire Service College. Mark arrived with ASG as part of his UK tour. During the friday evening, event attendees were socialising in the bar and retail areas of the event. We met up for a beer and got chatting about our work, hobbies, our friends and families, what we had planned for the future and made plans to collaborate on a number of projects that I was thoroughly looking forward to. As Mark wasn't attached to a team for the event, he joined me and my friends in P.A.S.T for our taskings and was a pleasure to run with. During this event, Mark presented me with an Airsoft Denmark players patch for my contribution to Airsoft, an unexpected gesture but one that was greatly appreciated. A patch which I wear with pride. Mark himself made an extraordinary contribution to the worldwide Airsoft community through his passion for Airsoft and writing that was shown through Airsoft Denmark. He was professional, and had an enthusiasm and joy for life that is rare to see. Airsoft has lost one of its brightest sparks and he will be missed. Femme Fatale Airsoft extends our sincere condolences to Mark's family, friends and of course colleagues at Airsoft Denmark during this sad time.